The local plan consultation will begin on June 6, 2016 and last for six weeks. 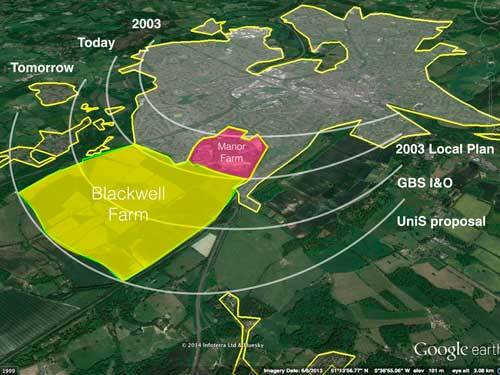 I will forward details about how you can object to the Local Plan and the inclusion of Blackwell Farm as a potential development area in a future update. It is very important that everyone responds to this third round of consultation. On May 11th the Executive agreed that the latest draft of the Local Plan could go forward to the next stage. It will therefore be debated at a Special Council meeting tomorrow evening at 7pm at the Council Offices. Fiona and I have secured speakers’ slots. It would be great if as many of you as possible could turn up for the meeting as a full public gallery will demonstrate to councillors the strength of public opposition. The site would offer considerable benefits to the community, eg a new junior school and SANG (suitable alternative natural green space), which is a requirement for development within 5kms of the Thames Basin Heath Special Protection Area. The development will help fund delivery of the new rail halt at Park Barn. The Local Committee meeting to discuss the proposed closure of the gap at East Flexford Lane will take place on 22nd June. Residents are concerned that the closure of the gap is linked with the proposed new junction on the A31, which will provide access to Blackwell Farm. 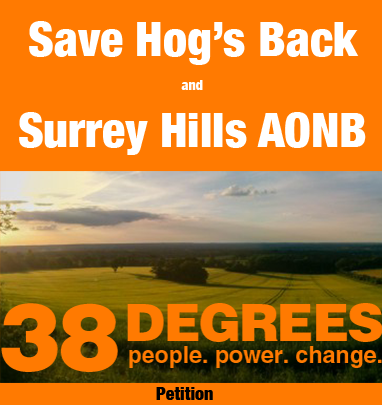 Any written questions must be submitted to Surrey County Council before 15th June. The Surrey Ad published my letter complaining about a one-sided video promoting housebuilding in general and the University development in particular (see attached). I’m told that the video cost £72,000 to produce. The video can be seen at http://www.guildford.public-i.tv/core/portal/webcast_interactive/224847 – about 8 minutes into the recording. This entry was posted in Uncategorized on May 4, 2016 by tejstevens.